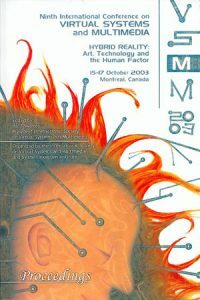 This book constitutes the thoroughly refereed post-conference proceedings of the 13th International Conference on Virtual Systems and Multimedia, VSMM 2007, held in Brisbane, Australia, in September 2007. The 18 revised full papers presented were carefully reviewed and selected from 97 initial submissions during two rounds of reviewing and improvement. The papers put a special focus on virtual heritage and virtual cultures, virtual environments and virtual experiences, as well as on applied technologies and systems. This book constitutes the refereed proceedings of the 13th International Conference on Interactive Technologies and Sociotechnical Systems, VSMM 2006, held in Xi’an, China in October 2006. The 59 revised full papers presented together with one keynote paper were carefully reviewed and selected from more than 180 submissions. This year marks the return of the International Conference on Virtual Systems and MultiMedia to Europe. VSMM2005 continues to push the boundaries of Virtual Reality and Multimedia research by focusing on the impact on society. Virtual Reality is no longer considered novelty or a wonder \’97 but a living reality in the lives of millions of people all over the world. It is therefore time to take a closer look at how Virtual Reality interacts with society, how it affects its users, and how it promotes or directs social change. 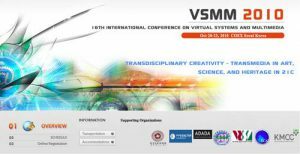 The theme of the VSMM2005 Conference is Virtual Reality\’92s present or potential impact on 21st century society in the fields of Heritage, Education, Applied VR Technology, and Entertainment and the Arts. It will also feature a special session in which the theme of professional guidelines and health, safety, and usability issues will be addressed. Conference Location VSMM2005 will be held for the first time in Belgium, in the historic town of Ghent. Hosted by the Ename Center for Public Archaeology and Heritage Presentation, VSMM2005 will take place in the Flanders Expo conference building , October 3-7, 2005. 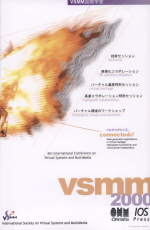 This publication marks the tenth anniversary of VSMM (Virtual Systems and Multimedia). It contains articles taking many different perspectives on virtual systems and multimedia. The ‘Hybrid Reality’ and ‘Digital Partner’ papers presented in this book make a profound impact upon Art, Science and Culture. The articles presented explore virtual systems and multimedia research in cultural heritage, robotics, entertainment, environmental studies, medical, art forms, enhanced environments and mobility, and human factors. This book contains over 200 papers which were thoroughly reviewed and ranked. Six papers are written by people considered to be highly distinguished researchers, and the sixth special session of highlight areas include on Virtual Heritage, Volume Graphics, Digital Partner, Human Factor, Digital Human, and Mental Partner. 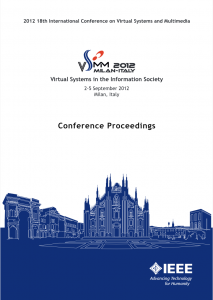 This book is the result of the 6th International Conference on Virtual Systems and Multimedia-VSMM 2000. It includes papers on exciting perspectives on virtual reality for the new millennium, from technical to cultural heritage applications. There is a special section on Virtual Heritage that will explore the VR tools and applications used in Cultural, Natural and World Heritage. This has become the industry benchmark for all developments and innovations pertaining to Virtual Heritage. organized by Prof. Takeo Ojika and Dr. Scot Thrane Refsland, International Society on Virtual Systems and MultiMedia; sponsored by Gifu Research and Development Foundation; in cooperation with the Virtual Reality Society of Japan (VRSJ). In the spirit of exploring the fusion betweenengineering, art and commerce in virtual reality and multimedia technologies, this book investigates the integration of technical excellence, creative innovation and industry and commercial development through real applications. It has four main sections: technical, creative, industrial/commercial and virtual world heritage. The technical section of this book focuses on the research and development of virtual reality and multimedia technologies. Topics include human interface and sensing, immersive virtual environments, industrial applications, rapid prototyping, 3D measurement, virtual factories, medical and biological modelling and theory, and entertainment and games. The creative section explores VR and multimedia from an artistic viewpoint, offering contributions on innovative uses of technology. Main topics include exploration of creativity, artistic theory, methods and innovative applications through film, theme parks, games and other areas which use VR and multimedia technologies. Within the industry and commerce section, this book presents the development of critical issues relating to the industry and commercial side of virtual reality and multimedia. This section explores medical, moral, legal and political issues. Topics included in the virtual world heritage part are architectural and artifact construction, education, historical information presentation, restoration and tourism. Organized by University of Geneva ; sponsored by International Society on Virtual Systems and MultiMedia, and the University of Geneva; in cooperation with Computer Graphics Society, International Federation for Information Processing, WG 5.10; hosted by International Telecommunication Union.